Mistletoe is from the Old English words mistle [dung] and tan [twig]. It springs to life from bird droppings on the tree branch. It was considered sacred and people were in awe because it could live when nothing else did. It was often used in battle and later cut off and hung over the door way as a form of protection. The Celtic Druids and North American Indians held Mistletoe sacred. The Druids cut it with golden sickles. They were caught before reaching the ground and put over the doors as protection against lightening, thundering and evil spirits. It was forbidden to fight in the presence of Mistletoe and the motto of peace and goodwill to all men came from this greenery. Ancient cultures also prized the plant for it’s healing powers. The plant was believed to be associated with fertility and vitality. In addition to the Christmas mistletoe we know, there is also another type of mistletoe that grows in Europe and is poisonous. This type has yellow flowers and white, sticky berries. This legend probably originates from the following story in Norse mythology. As the story goes, when the god Odin’s son Baldur was prophesied to die, his mother Frigg, the goddess of love, went to all the animals and plants of the natural world to secure an oath that they would not harm him. But Frigg neglected to consult with the unassuming mistletoe, so the scheming god Loki made an arrow from the plant and saw that it was used to kill the otherwise invincible Baldur. According to one sunnier version of the myth, the gods were able to resurrect Baldur from the dead. Delighted, Frigg then declared mistletoe a symbol of love and vowed to plant a kiss on all those who passed beneath it. In Scandinavia, the plant is considered to have a power of peace. France has a New Year’s Day tradition called “Au gui l’An neuf” (Mistletoe for the New Year). 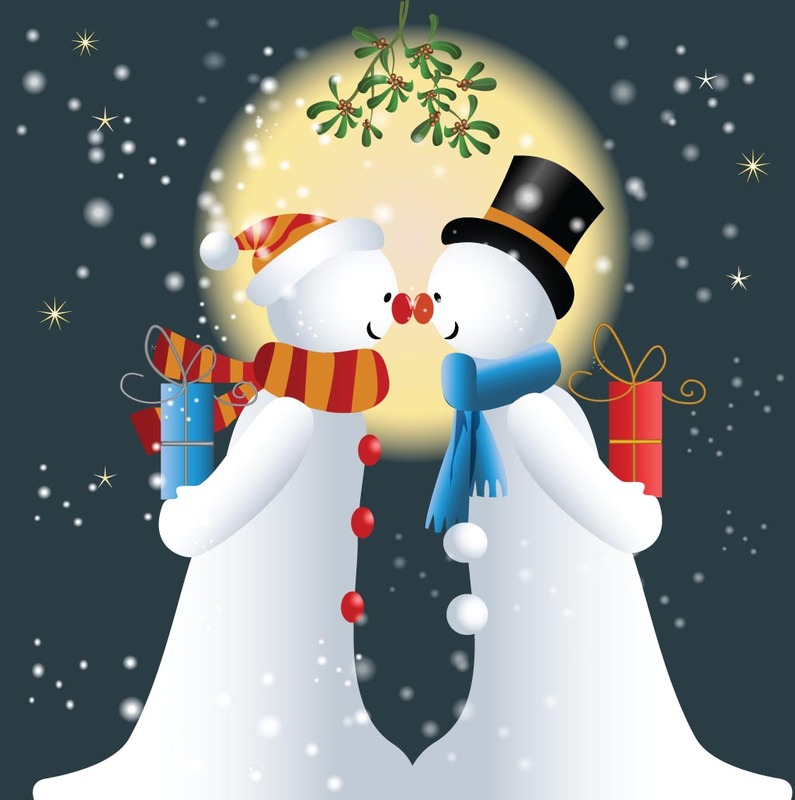 Today couples enjoy kissing under the mistletoe. According to early legends refusing a kiss was considered bad luck. Kissing under the mistletoe is first found in regards to the Greek festival Saturnalia. Later references are found in the more primitive marriage rites. This is most likely from the belief that it has powers of fertility. A kiss can be a reference to romance, friendship or goodwill. In some parts of England the Christmas mistletoe is burned on the twelfth night lest all the boys and girls who have kissed under it never marry.